It’s not a party until there’s a photo booth! Our enclosed, Victorian-designed booth is the perfect booth to fit in any elegant setting. 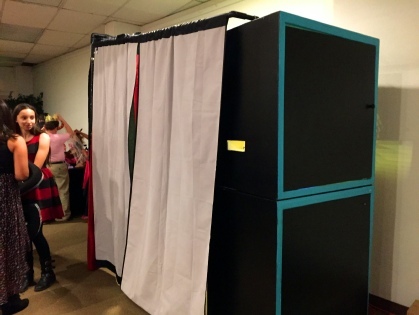 Specifically designed to compliment the décor of settings such as weddings, corporate events, award ceremonies, and the like, this booth has everything you want in a booth and more! The enclosed booth seats 2-4 people comfortably, but with a bit of creativity, we’ve fit up to 12! The booth also includes a mirror on its exterior as well as a digital screen which allows for a slide show of pictures of your choice! 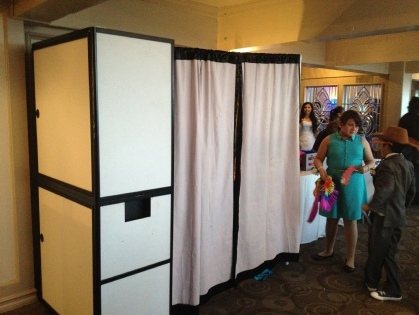 The enclosed booth provides both photo and video capabilities. 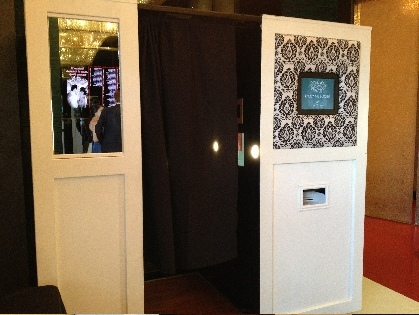 Our open-aired, Modern-designed booth is the booth designed for a specific type of person - one that loves to party! The open-aired, standing room design of this booth allows for a LOT of people to fit in all at once. You can fit 5 easily, and in the 10’s comfortably! The Modern booth has been purposely designed to fit in practically any space, leaving behind the worry of whether or not your place has enough room or access. The pipe/curtain design is also easily placed in and out, which allows for a whole different background of your choice! Traditional, Modern, Compact, Classy, this booth has it all. Get the best of both worlds, with our Galaxy Black Booth. 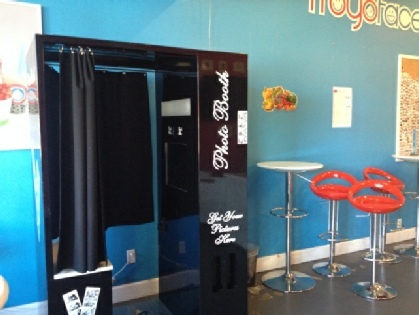 The Galaxy Black Booth is perfect for an elegant event as well as a modern, more informal setting. If you want something that will fit into smaller rooms, this booth is the way to go. Designed to seat 2-3 people comfortably, this booth is the best option for those looking for the traditional look without the bulk. The Galaxy Black Booth also features unlimited prints as well as video recording capabilities. Our Open-Air, Teal Booth is similar in design as our Modern Booth, but it’s a little bit bigger in order to accommodate even more people! A unique Black and Treasured Teal color with a beautiful light pattern inside the booth, our Teal Booth fits about 8-10 people comfortably while still providing the privacy you’d like.